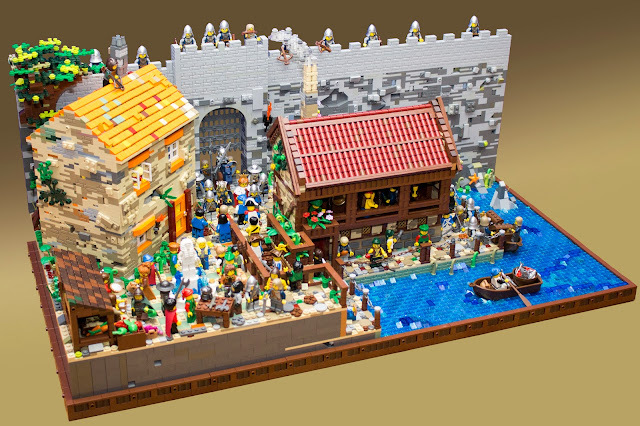 LEGO Fan and flickr.com user Bricktease shared this very detailed medieval MOC which contains two different medieval buildings and part of a gate of a castle. The king and queen left the castle to explore the town with their guards. One of the building which seems like a tavern has a great roof with 1x1 round brick technique. The other building is likely to Mediterranean building with tan and yellow color scheme. The Market Gate is absolutely perfect where you can find many details with a closer look.